Mega Man Legends 3 is here! Well the fan-made version of the cancelled Prototype/Prologue, anyway. Get Me Off the Moon and DASH 3 Reboot have just launched The Mega Man Legends 3 Prologue 2D Version as a free download for the PC. If you want it, head to this website, then type in the passcode "dash3" in the textbar. If traffic has you down, you can find a mirror right here. We hope you enjoy the final product! Big thanks goes out to the DASH 3 Reboot team, Makoto Tomozawa for the new music, Hideki Ishikawa, and our old pal Heat Man for the English script. Job well done, folks. Sweet, I JUST found my lost PC gamepad like a half hour ago, and I was just telling myself I wouldn't play this game without a proper gamepad. Now I'm all set! And I have high hopes! As an off topic aside, I noticed you didn't do a new post showing off the new tower boss for Megaman Xover. Not a big deal, but since you made a new post for every other tower boss/Xover original character, I was wondering if you intended to but just forgot? I got a complaint with some questions. What was the point of hiring Hideki Ishikawa just to recoup the money hiring him, with a special limited release? Why not ask for donations if that were the case, then once funded release a complete package? Did he do other work like graphic design? Other than that, I was wondering, Protodude could you possibly review this game for kicks? I mean its not like Mega Man is otherwise flowing with new content to keep this site alive. I also personally really like reading you opinions. Ishikawa was hired to design the inner jacket of the game's album. It's a new piece of art featuring Sera and Yuna. To my understanding, it was not Ishikawa's involvment that required a recoup. Rather, the new music from Makoto + the expenses of producing a physical album in bulk (booklet, CD, etc.). Donations were actually being accepted in 2013 for the general development of the game and Ishikawa's involvement. If I have the time, I'd be happy to post a review. Oh I see, I wasn't around for the donation part, but thanks for the heads up. I'll be straightforward. Is this any good? I'm about to try, I'll reply after I played it for a while. Right now, it has a meh impression on me. i would prefer if it was 3d, to add to that Adventure Feel that make the first 2 games so great. It has four missions Anon1. It does however heavily rely on reaction time, I guess they did that to complement the lock-on feature. It doesn't really feel like Forte or Axl either, I feel somehow restricted with lock on, rather than free aiming multiple directions and hitting enemies in my path, it's like I'm focused on one and maneuvering around to catch the others in the crossfire. That tends to get awkward, and is made evident fighting the Bonnes, like if you hold on to lock-on you'll huge the boss when dashing to avoid it, things like that. If the game is difficult, the reason behind it I feel is due to the massive amount of hits it takes to defeat an enemy. I mean holy heck it's either the enemies have some super great armor, or Barrett has some weakling energy shots. I have a felling the reason behind this is due to the small nature of the game's development, so the team decided to up the enemies' health in order to lengthen the game. I found myself losing just because I couldn't keep patient till the enemy was defeated. All I'm saying is if you came straight from classic MM games expecting a couple of hits to kill an enemy, you'll be in for a shock, and you'll have to readjust. It kinda also makes it feel like fighting strong Reaverbots without much upgrades from the PSX Legends games. Anyway, I overall liked the gameplay approach. The controls for me were weak responsively, the game heavily encourages rapid fire, and I'm guessing because of that, tapping shoot suffered in the programming. I also sometimes found that lock-on wouldn't work for me at all, must be a bug. The music is mostly 8-bit remakes of music found in the official games, and didn't work for me. Luckily they give you the option to only use SFX, and I found myself overlaying SaGaFrontier2 and Alundra2 music on it, which actually for me works out pretty well. Overall I'd recommend giving this game a shot if you have the time and space. It is a nice little deviation to the classic Rockman formula. With a little touching up and improvements, this could be a great gameplay formula. I'll also say I enjoyed the gameplay of this game despite it's quirks, over any other Legends game I've played, and I've played and beaten the original and 2 several times over. I forgot to mention, special attacks....They're necessary and run out fast, and are hard to build meter for. The enemies and objects you hit to collect what builds the meter for specials most of the time, don't really drop frequently or are at the places you'd like. is all I can say about that. You can adjust the Lock-on in the options. And yeah, I agree with most of what you said. That first MiniBoss is a little Overkill since it's missiles have very accurate homing and you can't shoot up on will nor lock on them, so you just gotta take the hit or get lucky. The missiles are alright, I deal with the yellow ones by leading them to a spot where I know they'll hit, then quickly move forward, back, or up, down (since holding down jump makes you fall more slowly). For the grey ones I just lead them directly behind me to shoot them, if thrown while the boss is taking up most of the space, it's fine since it moves slowly and by the time the boss gives me room, I'm set. The retarded part I found was when the boss would squish you in, then the woman decides that's the perfect time to throw an invincible fast moving bomb that covers all angles in that situation, that combined with the up coming car that you have to time your jumps for, takes a crap ton of damage. That's the part I have a problem with. The game isn't so hard (on Normal) once you know what to do. Alright, so. 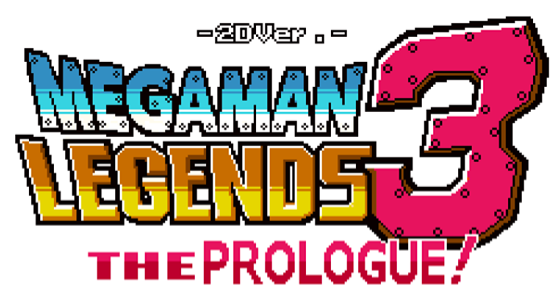 I finally took some time to play the Mega Man Legends 3 Prologue version. ... I don't like it. The game doesn't seem to know what it wants to be. It plays a bit like Mega Man Legends, where you have missions and whatnot... but it's a 2D action platformer in the style of the Classic series. This would be fine, but they added Legends-style quirks to the game which are a real turn-off. Firstly, you have a dash and a dodge roll. This are very useful in pretty much any situation, but the dodge roll is particular useful... and in fact, mandatory, in the boss fights (and an occasional low-grade enemy fight). There's other problems as well. Not enough power-ups, "obligatory" cameos, a hastily-scrawled and shoehorned story, way too much dialogue for an action game, an absurd amount of obvious edits of Megaman and Roll for pretty much every human character (not to mention the use of way too many colors for sprites and backgrounds), and the worst offense of them all? Limited continues...! I realize that Legends had absolutely no continues, but this isn't Legends! Maybe it's because it's a demo, but you have no opportinity save anywhere! And of course, if you can't save, you're done for once the continues are gone. All and all, this has been a very unsatisfying experience and really turns me away from wanting to buy the full game. As a fan of the Classic series and a fan of Legends, I can say that if the demo is an accurate representation of the full game... that people of both series are going to be very disappointed. Well have an unsatisfying day, to you it's just the same as a good day. I think that's what you want. I also somehow forgot to mention the Yoku Blocks. In the first mission. And also the nigh-unavoidable Reaverbots in tight hallways. But never mind, I think my point has been made.